WildCare’s mission is to advocate for wildlife for a sustainable world, and we actively pursue this mission through nature education, wildlife medicine, advocacy and community outreach. Through partnerships with schools, collaborations with other organizations, educational programs and activities, internships and volunteer opportunities we make a positive difference in our community. In 1954, St. Paul’s Episcopal Church in San Rafael determined to build a larger Parish Hall to better serve its growing membership. Rather than tear down the old Parish Hall, the church gave it to the San Rafael Optimists Club, who moved it to its present site, near what is now Albert Park in San Rafael. The Optimists Club leased the site, for $1 a year to a local group who wanted to establish a Junior Museum. Fashioned after similar Junior Museums that had sprung up in communities across the country during the 40’s and early 50’s, Marin’s Junior Museum provided educational opportunities for young people to learn about nature and animals through educational displays and activities at the museum. They also had an animal lending program through which teachers and families could check out an animal to care for and learn about. In the early 60’s, the museum changed its name to Louise A. Boyd Natural Science Museum, after the local philanthropist and adventurer who had devoted her later years to arctic exploration and wildlife preservation. The Boyd Museum (as it was called by many) was known as the place for families to go in Marin to learn about animals and nature. A robust educational effort was developed with a number of state of the art, interactive educational displays at the Albert Park facility, and an active outreach effort providing educational programs to schools and other groups. A number of guilds were formed to raise funds to support the Museum’s educational displays and programs. At their height, there were 25 Guilds comprised of 25 members each. Each Guild conducted an annual fundraising event, and then all of the Guilds collaborated on a combined fundraising event called the Festival of Trees. Eventually the Boyd Museum and its association with animals led people who encountered injured, ill or orphaned animals to bring them to the museum for care. As the population in Marin grew, so did the need for an animal rehabilitation center. In this way the Museum’s emphasis expanded beyond education to include wild animal rehabilitation. The Boyd Museum became the Marin Wildlife Center focusing on wild animal rehabilitation and nature education. At the time, the Marin Wildlife Center was really a pioneer in the field of wild animal rehabilitation. As is the case today, a very dedicated group, primarily made up of volunteers, did their best to provide the area wildlife with the very highest quality care possible. In recognition of the fact that the Center provided services to people and animals beyond Marin’s borders, the Marin Wildlife Center became the California Center for Wildlife. As Marin’s population grew and extended itself further into open space lands, human/animal interactions increased, and so did the number of animals being brought in for treatment. Along with an increase in the numbers of animals requiring treatment over time, our knowledge and understanding of wild animal physiology and relation has progressed tremendously. Today WildCare ranks among the leaders among wild animal rehabilitation centers across the country and around the world. In the 1950’s Elizabeth Terwilliger, the daughter of a pineapple plantation doctor from Hawaii, a recent transplant to Marin County, a mother of two, and a nurse by training, began to do for her children what her mother had done for her. She took them outdoors to explore and discover the wonders of nature. She had developed a love for nature herself as a child, and she absolutely loved to share it with others, particularly with children. Mrs. T’s children invited their friends along on these adventures, and their parents eventually invited themselves in order to see what all the fuss was about. 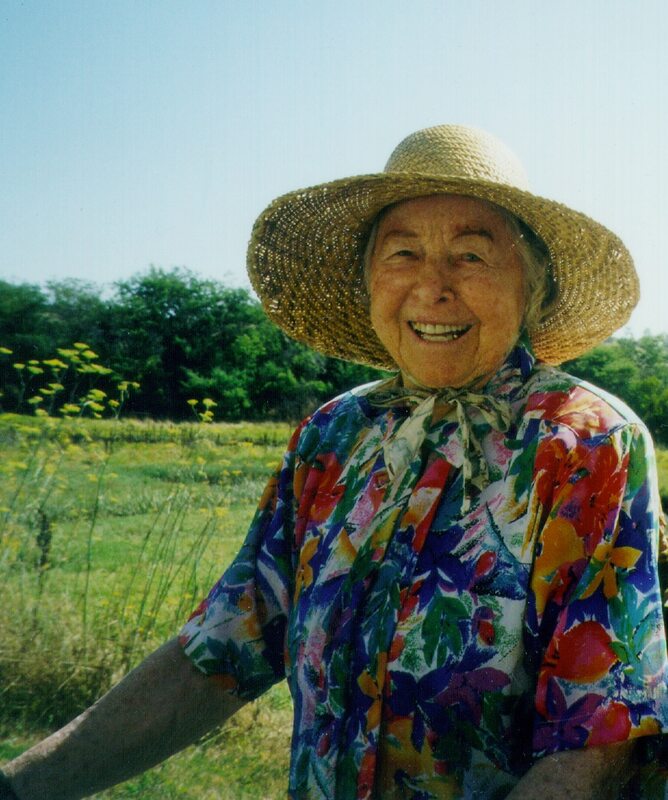 They discovered that Mrs. Terwilliger had a very special talent for educating children, and they set about creating the infrastructure to insure that as many children as possible could benefit form her unique approach to teaching about nature. Mrs. T believed that children learn best using all of their senses. That if they could just explore the natural world and discover its wonders with just the right amount of gentle guidance, children would gain an important sense of the majesty of the natural world, and of their own connection to, and responsibility for it. She and her friends began by working with the local schools to create opportunities for trips and in-class presentations. The demand quickly became so overwhelming that they had to train themselves and others to be volunteer nature guides so that every class that wanted to visit or do a field trip could participate. They eventually formed a nature guide organization. At the peak of their activity, there were over 75 Terwilliger Nature Guides leading groups on field trips at sites throughout Marin County, teaching children to love nature, because, as Mrs. T said, people take care of the things they love. After witnessing firsthand the magic that Mrs. T wrought with their children, Joan and Don Bekins dedicated a good many years of their lives to the effort to spread Mrs. T’s message as far and wide as possible. A photographer and businesswoman Joan Bekins determined to bring Mrs. T to the world on film. She secured funding to produce a series of award winning films, which she wrote, directed, cast, produced, promoted and distributed to schools and libraries across the country and eventually around the world. To date over 40 million children around the world have learned to love nature with Mrs. T through the films. See the films and take a wonderful virtual field trip with Mrs. T at terwilligerfilms.org. The Terwilliger Nature Education Foundation was formed, and eventually an office and program site in Corte Madera was established. A Nature Van was purchased so Mrs. T could carry her trademark taxidermy animals to the schools. Classroom kits were made available so teachers could teach children about native wild animals with taxidermy specimens that the children could get close to and touch. The Terwilliger Nature Education Center has touched the lives of hundreds of thousands of Marin County residents. The merger of the California Center for Wildlife and the Terwilliger Nature Education Center took place for a variety of reasons. It was first contemplated because the two organizations were considering the same site, (the old Nike Missile Site near McGinness Park), as a future home. Prospective funders and local politicos suggested that the two get together and explore the possibilities. Add to the mix that the California Center for Wildlife was looking to re-invigorate its educational programs, and that both organizations would presumably achieve economies of scale by merger. Much effort was put into insuring that the integrity and the heart of each organization be retained, and that a Mission Statement and name and image be developed that truly conveyed the spirit and the purpose of this new organization. Today WildCare is a leader in wildlife rehabilitation and nature education. Our Terwilliger nature education programs reach more than 40,000 Bay Area children and adults every year, and our wildlife hospital treats nearly 4,000 ill, injured and orphaned wild patients each year. Our Living with Wildlife hotline answers thousands of calls to help people through wildlife emergencies, and our WildCare Solutions service brings our expertise to homeowners’ properties to help control and eliminate nuisance animal problems throughout the Bay Area.